Discussion in 'Tech News' started by liftedplane, Aug 22, 2017. Big red is at it again, last month they were caught limiting video streams to 10mbps,well now we know why . Starting tomorrow all video streams on smart phones will be limited to 720p, tablets get 1080p. 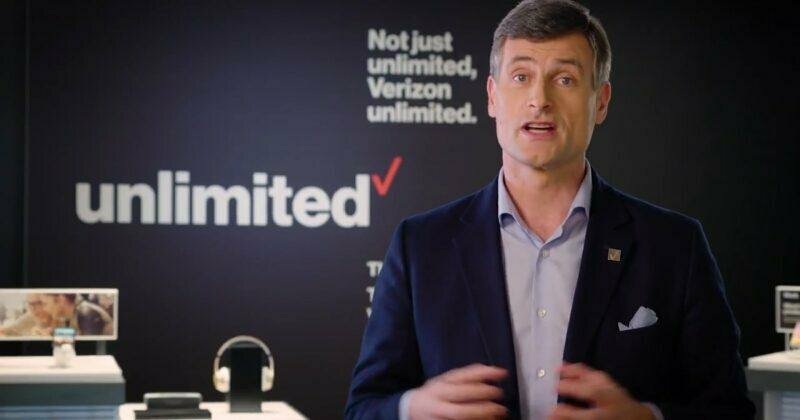 New unlimited plans are being rolled out, the lowest unlimited plan is $75 per month, which is $5 less than currently priced, however video streaming is limited to a paltry 480p. "More than 96 percent of customers have not used 4K video,"
To get bigger get 480p you have to go beyond unlimited and pay $10 more per month for smart phones and $20 for tablets. Current unlimited users are automatically given beyond unlimited at no extra cost. There will also be a change to mobile Hotspot. The $75 unlimited plan is capped at 600 kbps while the beyond plans get 15gb of 4g and are then throttled to 600 kbps. The 1080p maximum is also imposed on laptops and any device connected to your mobile hotspot, this means no getting around it to watch 4k on your Android tv device through your phone. Verizon has also said 720p and higher is indistinguishable on smart phones and by limiting video quality they will better be able to serve their customers. I personally love the new unlimited plan, I'm not surprised VZW is doing this and frankly I hope the news of T-mobile rolling out their new low band is true and in the next few years I'll have a better option. Nothing can be done to change this unless you're on the old udp, and let's be honest how many still are? I'm still tinkering on the original Unlimited plan. On UDP, also. Been thinking about going to one of these new unlimited plans....I think 720p is just fine on mobile. HOWEVER, since I like to tether then I WOULD want 1080p on my laptop (and I'm guessing you are still restricted to 720p when tethering). I get they don't want people abusing the data, and I get network optimization....but surely they could do a little better than 600kbps? After 25+ years with VZW my spouse and I switched to the new 55+ unlimited plan with TMO for $60/2 lines. I'm happy with 480 DVD quality streaming on a phone. I also rarely tether. Saved $1k per year. No it's limited to 10mbps when tethering which is supposed to be 1080p. Keep in mind though tethered data is capped at 15gb 4g lte then dropped to 600 kbps afterwards, good luck streaming 240p at those speeds. Well, that's all using "official" tethering apps. So if you only used official tether for video, 15GB is a fairly healthy amount of 1080p, maybe 7-10 hours. But at least you CAN get 1080p on a tablet or laptop when you tether. Otherwise with "unofficial" tethering apps you would be stuck with 720p (which is still decent). But that plan is only $5 a month cheaper than my current UDP, so why switch? I don't think it would be cheaper at all... This all seems like Verizon has been playing the long con on every single one of us. "hey guys checkout our new unlimited data plans, you'll love it"
Wow this seems to good to be true. I completely disagree, 480p looks great on the cheap 512mb android phones that tracfone sells because the screen basically has that resolution. 480p on a 2k or 4k screen on any of the flagship phones? No... It's artifact city. 720p should be the absolute lowest. Also if 96% of the customer base has never even attacked 4k why the sudden need to get rid of the ability? Why not make 720p the base, you pay $10 extra for 1080p on phones and tablets and $20 extra for anything above 1080p. Look I've never streamed 4k on my phone, and I won't be anytime soon. The only reason they've gone with DVD 480p quality as the base is because they know they can make money on 720p or 1080p. This may be too help network congestion, however that isn't the main reason, it's the one they give to us. The real reason? They want more money and the current unlimited plans were put out there because tmobile was pulling customers away left and right and big red needed to do something quick. Now that they feel they've got all of us hooked again they pull this bs. I have to agree with you 100%, liftedplane. The only reason they're doing this is for the $$$$. Congested network excuse is BS. If I switched from the original UDP plan to this, I'd be po-ed! Here's my question, as someone who switched to a new Unlimited Plan....can you really, really tell the difference on these 5 - 6 " screens? I don't watch any movies on my phone so I don't know if I would ever notice the difference. ...can you really, really tell the difference on these 5 - 6 " screens? 480, probably. 720p? I'd guess that's about like trying to tell the difference between a 256kbps mp3 and lossless....many people claim they can, but few actually pass the blind test.